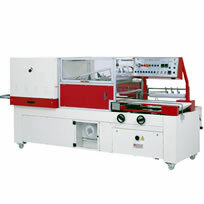 Get Packed supplies a complete range of Manual Shrink Wrapping Machines and Automatic Shrink Wrappers. We provide shrink wrap machines to suit all different shaped and sized products, with varying levels of simplicity and complexity depending on your volume, sizing and speed requirements. 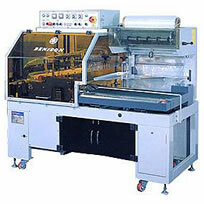 Our products range from a budget Shrink A Pack System which is perfect for manual low volume collation of products for point of sale or promotional items – through to large Shanklin Automatic Shrink Wrapping Machines which will provide continuous side sealing wrapping and shrinking with speeds of up to 65 packages per minute. Whatever your budget or volume requirements Get Packed Pty Ltd can advise and supply the correct product to meet your requirements. We also supply all the different types and grades of Shrink Film to match at competitive prices. 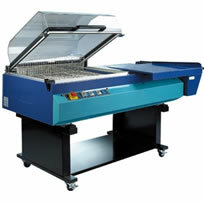 Our range of manual shrink wrapping equipment begins with a simple Shrink A Pack system which is most suitable for low volume shrink wrapping and perfect for packaging for promotional sales, through to L-Bar sealers which is a basic bench top sealer where a heat gun is used to shrink the film. Our Manual range then moves through to a larger All in one shrink wrapper, which not only seals the shrink film, but also shrinks the film over the product and then if you wish we have an all in one shrink wrapper with a take away conveyor to speed up production. The last of our manual range is completed with a semi automatic L-Bar sealer and Heat shrink tunnel which is designed for medium production speeds of 10-20 packages per minute. The Shrink A Pack System is a budget system suitable for low volume manual shrink wrapping and is available in 5 different sizes complete with a heat gun, film dispenser and sealing bar (shrink film is not included). It is ideal for department stores, gift & variety stores, chemists and CD stores – anywhere where items can be collated for point of sale or promotional merchandising. A Shrink a Pack system seals one side of the film, so a couple of seals must be manually done to fully seal a product, after which the heat gun would be used to shrink the film over the product. It is available from 300mm through to 900mm. 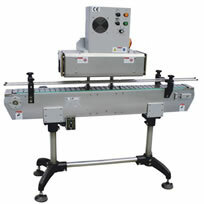 These are a basic bench top L-Bar sealer; where the centre fold shrink film is fed over the L-Bar, the product is put between the centre fold, and the L-bar shaped sealer is closed down to seal the product. You would then shrink the film over the product with a heat gun. Each time you seal a product you would have two closed ends already on the film (the fold which exists in the film and the seal left from the last item sealed) which means the L shaped bar would seal the remaining 2 sides. The standard size is 450mm x 450mm. 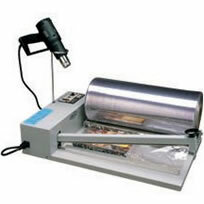 Follow this link to see important tips on using heat sealers. All hooded or chamber style shrink wrapping machines in Australia are 15amp but a standard Australian power point only provides 10amps. 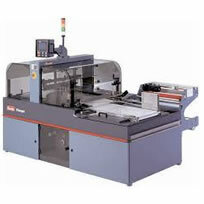 Usually ane electrician is required to put in a 15amp power point to enable use of the shrink machines. This Australian made Ampfibian MINI adapter with overload protection allows you to safely and legally connect 15amp devices to standard 10amp power points. The Ampfibian MINI is certified to comply with Australian electrical standards allowing connection between 10A abnd 15A and achieves this by cutting the current if it exceeds 10A/2400W. The MINI also offers personal protection from electric shocks by using a residual current device (RCD) which can be caused by faulty wiring or appliances. The SeleCTech All In One Shrink Wrapper with shrink chamber is efficient and easy to use by one operator as it seals and shrinks in one easy operation. Using either Cryovac Polyolefin Shrink Film or PVC Shrink Film depending on what kind of finish you want. 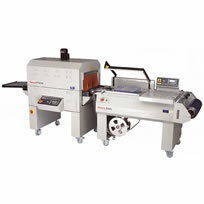 Featuring a sealing area of 420mm(W) x 550mm(L) x 225mm(H) it can fit a roll of shrink film up to 560mm wide. This machine uses the latest in touch screen technology which enables the user to change variable settings like temperature and sealing time. Power supply 240V, 15amps, 1phase. 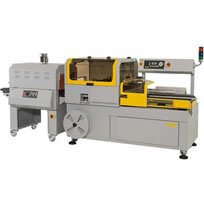 This all in one shrink wrapper has sealing dimensions of 620mm (w) x 800mm (L)with 250mm height requires 3 phase power. It has simple dials and touch screen technology to control temperature and sealing times. Video's below are of a 455 All In One. This shrink wrapper will seal and shrink PVC or Cryovac polyolefin shrink film. This machine is much like the L-Bar sealer except that it has a micro knife instead of a wire and after putting the product between the centre folded film you slide the product onto the sealing area and lower and hold the hood over the product. This has a two fold action of sealing the film and subsequently shrinking the film around the product. When the shrink time is completed the hood will automatically return to the open position so the completed package can be removed. 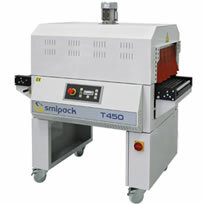 This is one of the latest addition to the Get Packed range of Shrink Wrapping Machines that have it ‘All in one’. Th 238 Shrink Machine has the L-Bar Sealer and Shrink Chamber ‘all in one’ and has sealing dimensions of 280mm(w) x 380mm(L). It will seal and shrink P.V.C. or Cryovac polyolefin shrink films with maximum dimensions of 360mm. To use it simply place the product on the package loading tray between the two layers of centrefolded film. Then move the package into the sealing area and lower the hood. When lowering the hood and applying pressure the seal is not only created, but you allow the shrinking process to commence. Once the process has completed you simply raise the hood and the completed shrink wrapped package can be removed. With the L-Bar Sealer and Shrink Chamber ‘all in one’ there are sealing dimensions of 320mm(w) x 460mm(L).This Shrink Wrapping machine will seal and shrink P.V.C. or Cryovac polyolefin shrink films with maximum dimensions of 400mm. To use it simply place the product on the package loading tray between the two layers of centrefolded shrink film. Move the package into the sealing area and lower the hood. When lowering the hood and applying pressure you not only create the seal, but you allow the shrinking process to commence. Once the process has completed you simply raise the hood and the completed package can be removed. 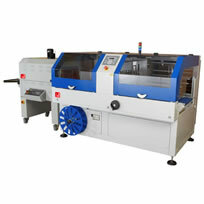 This is the latest addition to the Get Packed range of Shrink Wrapping Machines that have it ‘All in one’. 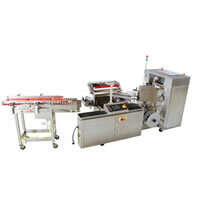 This Shrink Wrapper has the L-Bar Sealer and Shrink Chamber ‘all in one’ and it will seal and shrink P.V.C. 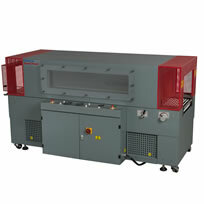 or Cryovac polyolefin shrink films with maximum dimensions of 600mm x 250mm. To use it you simply place the product on the package loading tray between the two layers of centrefolded film. Then move the package into the sealing area and lower the hood. In lowering the hood and applying pressure you not only create the seal, but you allow the shrinking process to commence. Once the process has completed you simply raise the hood and the completed package can be removed. This Shrink Wrapper has sealing dimensions of 420mm(w) x 550mm(L). 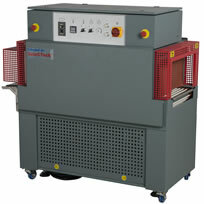 The GPEKH-680 L-Bar Sealer and Shrink Chamber has sealing dimensions of 620mm (w) x 800mm (L) and will seal and shrink P.V.C. or Cryovac polyolefin shrink films with maximum dimensions of 800mm. To use it simply place the product on the package loading tray between the two layers of centrefolded shrink film then move the package into the sealing area and lower the hood. When you lower the hood and apply pressure you create the seal and allow the shrinking process to commence. Once the process has completed you simply raise the hood and the completed package can be removed. This Semi-Automatic machine is designed for medium production speeds of 10-20 packages per minute depending on your package size. 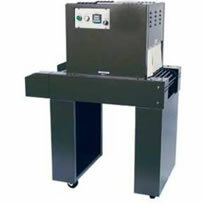 With its heavy duty frame this model features a micro knife or blade, as opposed to a wire (Shrink A Pack & L-Bar sealers) for more durable sealing; dual magnetic hold down on the L-bar and a power discharge conveyor which moves the product into the heat shrink tunnel. The L-Bar also features a pin perforation hole punch to allow air to escape during the shrinking process. The heat shrink tunnel features a re-circulating air chamber with a live roller rod conveyor which allows for a more even shrink over your package. 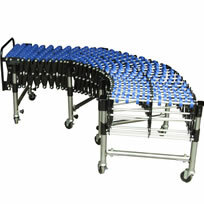 Scroll further down the page for information on an extendable conveyor. L-Bar Sealing Area: 400mm (w) x 550mm (L) x 150mm (h). 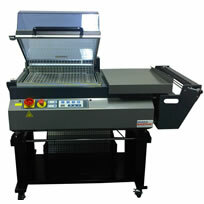 The 560L Semi Automatic L-Bar Sealer or Unishrink – Seal and Shrink System seals bothP.E. film as well as P.V.C and Polyolefin Shrink films. 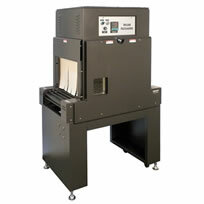 This L-Bar Sealer stores up to 6 different programs and uses a Touchpad Control Panel. The Shrink Tunnel is easily separated from the L-Bar Sealer and can be supplied with or with out the Shrink tunnel GPVT450. The dimensions of the teflon coated sealer bar is 540mm x 430mm with a height of 230mm. The GPVT 560L has a motorised conveyor and film waste winder device for higher production outputs of up to 1200 packs / hour. The 870L Semi Automatic L-Bar Sealer or Unishrink Packaging System,with its large 870mm x 620mm sealing area, can pack up to 750 packs / hour. It can store up to 6 programmable automatic sealing cycles and both the L-Bar & Heat Shrink Tunnel have touchpad controls for easy use. You also have total control of the sealing bar span up to 300mm height and the Shrink tunnel Temperature and airflow. 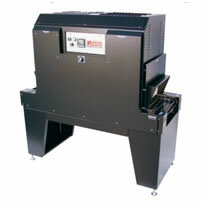 The 870L has the standard features of a film waste rewinder, electromagnet hold down and automatic release. The 870 UniShrink seals Polythene, PVC and Polyolefin Shrink film. Conveyors are an ideal add on to any packaging line and can be added to the end of shrink wrappers as well as carton sealers and strapping machines. This extendable and flexible skate wheel allows packages to be easily moved away from the primary packing location easily and safely. When the conveyor is fully extended to its 5.5 meters then the item must be a minimum of 400mm in length to avoid being trapped in the skate wheels. 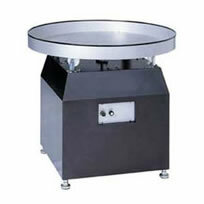 The Lazy Susan Product Accumulator is a variable speed turntable that allows you to accumulate a large volume of products in one area. 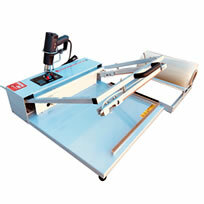 It is ideal for smaller products that will not transfer onto a roller or skate wheel conveyor. It is available in a 900mm or a 1200mm diameter turntable and plugs into any 240v outlet. Our range of Automatic Shrink Wrapping Machines are differentiated by their ability to be programmed to different sized products or film recipes, specialised features such as photo eye cells/ electronic eyes and their packing/shrinking speeds. Get Packed also supplies the appropriate grade or brand of shrink film to best suit each machine to get the best shrink wrapping results. 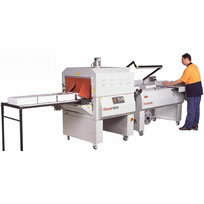 The GP6000 is one of the best valued Italian made automatic shrink wrappers in Australia. This automatic L- sealer and heat shrink tunnel has a sealing area of 610mm x 480mm with a maximum height of 200mm (GP-6000LAC model) or 150mm (GP6000) and is available in different models that have outputs that range from 600 – 3000 packs per hour. This range uses a Teflon coated sealing blade for a clean and strong seal as well as a Flextron control system that allows for storing of up to 10 different operations, sealing time adjustments and conveyor speeds. For best results use Polyolefin shrink film such as Cryovac or Opti shrink film – while a Polyethylene film will also work for some applications. a strong thin seal. 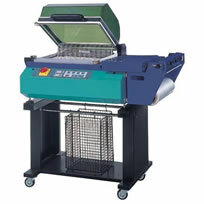 A variety of Heat Shrink Tunnels can be added to this machine depending on requirements. Follow this link to scroll down to the SeleCTech Shink Tunnels. This high speed shrink wrapper uses an intermittent motion 2 belt side seal which produces a thin and strong continuous seal. 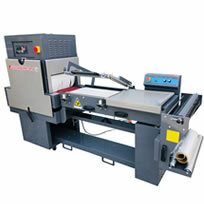 It has been designed with high speed production with speeds of up to 60 packs per minute. 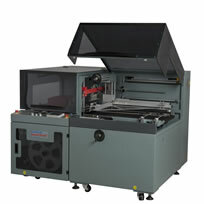 It is perfectly partnered with SeleCTech high speed shrink tunnels. This automatic shrink wrap machine differs in that it is a side sealing wrapper, with speeds up to 65 packages per minute. The variable speed conveyors and seal temperatures are universally controlled through the PLC, (controller) via a colour touch screen control panel – which is able to store up to 25 different programs for product/film recipes. 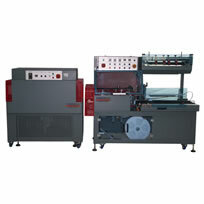 The program setup automatically generates spacing of the products and moves the product into the film continuously. The film is longitudinally side sealed and then cross sealed downstream with a travelling end seal mechanism. The Shanklin Form Fill Seal Wrapper is fuly automatic with a continuous motion horizontal sealer that wraps up to 60 packs per minute.It uses an efficient sabre side sealing system with a hot knife or smart wire end seal jaw that will shrink wrap products and neatly ytim on 3 sides. It will suit packages with minimum dimensions of 139mm x 3mm x 76mm or maximum dimensions of 466mm x 152mm x 1219mm. Optional height 254mm. Maimum roll width 558.4mm. The Sealed Air Shanklin Hy-speed series are top of the line shrink wrap machines that give you the speed and flexibility that you need to meet evolving production demands. The Hy-Speed series offers a smooth and fully automatic continuous flow providing speeds from 100 to 180 packs per minute depending on the pack size. They are fully customisable with a wide variety of options and accessories which allow the wrapper to accomodate a wide range of product lengths and shapes. Cutting and sealing approximately 3600 packs per hour, this Italian made continuous side seal shrink wrapping machine will work continuously with no limit to the package length. This is because the photo sensor will detect the package length and activate a lateral sealing bar. It is ideal for pharmaceutical or cosmetic products as well as pizzas, fresh food and produce wrapping due to its high speed and volume output. It works perfectly with Cryovac polyolefin shrink films including the CT range. Simply add the shrink tunnels VT450 or VT650 to complete the shrinking process. Pack dimensions 200mm height, 500mm x unlimited length and max weight 30Kg. This automatic L-Bar shrink wrapping machine is easily adjustable for varied products with a sealing dimension of 550mm x 450mm and height of 180mm. It features vertical and horizontal photo eye cells, an adjustable non-adhesive and heat resistant aluminium alloy sealing knife and a closing conveyor device and is best suited for thin and small products. This fully automated shrink wrapping machine feeds the product onto a conveyor that puts it into the centrefolded film and sealing area by using electronic eyes. It then stops the conveyor whilst it seals the product and then reactivates the conveyor, pulling the next product in whilst pushing the just sealed product into the heat shrink tunnel for shrinkage. Get Packed supplies a wide range of shrink tunnels to suit all types of budgets, speeds and capacities. Our range starts at a simple economical model with a 6 inch high tunnel perfect for the smaller packaging Requirements working through to larger shrink tunnels up to heights of 28 inches (711mm) with higher speeds, and can work behind automatic L-Bar sealers or multiple L-bar sealer production lines. All of our range of shrink tunnels features fully re-circulating air chambers with AC variable speed drives and anti-jam safety features. Other standard features include 4 directional air flow; automatic tunnel cool down with shut off; thermal overload protection on all motors; adjustable air velocity control; chromed conveyor rollers and shafts (no rust); solid state digital temperature control; sealed bearings on drive and idler shafts and locking casters with levelling screws. Optional features include dead rollers for polyethylene films, side guide rails in tunnel, non-standard voltage, custom paint, spare parts kits and extended infeeds or discharge conveyors. Designed specifically for shrinking security seals over the top of lids or caps on bottles of jars, this security shrink seal shrink tunnel has adjustable temputerature and conveyor speeds as well as being adjustable for bottle height. It is made of stainless steel and polished aluminium. This Shrink Tunnel features a single chamber which is equipped with an alphanumeric LCD control panel which enables a precise and simple control of all machine operations. This includes adjusting the conveyor speed and temperature as well as scheduling up to 10 different work cycles. 3 Phase power is required. 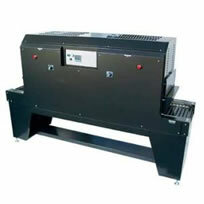 The GP1606-20 shrink tunnel is the most economical shrink tunnel in our range. 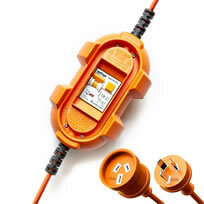 There is a 110 volt model and a 220 volt model. It is perfect for smaller packaging requirements as it has tunnel dimensions of 16 inches (406mm) (W), 6 inches (152mm) (H) and 20 inches (508mm) (L) chamber, but you can arrange for an optional height of 8 inches (203mm) if you require. It has a fully re-circulating air chamber, which means you get an even air flow, temperature and velocity from four directions which results in the best possible shrink for your package. The tunnel curtains are made of reinforced silicone rubber which minimises heat loss and therefore maintains an accurate tunnel temperature. There is a range of conveyor options available from a standard live roller with 1 inch spacing’s, to a high density roller with only ½ inch spacing’s, as well as stainless steel metal mesh belts, heavy duty falcon belting or Teflon mesh belt overlay. There is also a range of discharge conveyors to choose from; from a lazy susan turntable; a straight conveyor or a flexible skatewheel with varying widths available. As a standard our shrink tunnels feature an AC variable speed drive with a built in fuse protection and automatic tunnel cool down with shut off. 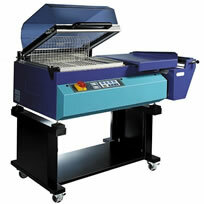 The GP1808-28 shrink tunnel is the next in our range. It is perfect for small to medium package requirements as it has tunnel dimensions of 18 inches (457mm) (W), 8 inches (203mm) (H) and 28 inches (711mm) (L) chamber, but you can arrange for an optional height of 12 inches (304mm) if you require. It has a fully re-circulating air chamber, which means you get an even air flow from four directions, as well as even temperature and velocity which results in the best possible shrink for your package. You are able to choose from a range of conveyor options, from a standard 1 inch live roller, to a high density roller with ½ inch spacing’s, as well as stainless steel metal mesh belts, heavy duty falcon belting or Teflon mesh belt overlay. There is also a range of discharge conveyors to choose from; from a lazy susan turntable; a straight conveyor or a flexible skatewheel all with varying widths available. As a standard our shrink tunnels feature an AC variable speed drive with a built in fuse protection and automatic tunnel cool down with shut off. The Tunnel curtains are made of reinforced silicone rubber which minimises heat loss and therefore maintains an accurate tunnel temperature. 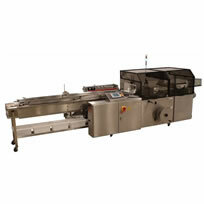 The GP1808-44 is a medium speed tunnel which can also be used behind an automatic L-Bar sealer. The tunnel dimensions are 18 inches (457mm) (W), 8 inches (203mm) (H) and 44 inches (1118mm) (L) chamber, but you can arrange for an optional height of 16 inches (406mm) if you require. It has a fully re-circulating, velocity and temperature controlled air chamber with four directional air flow. All of this and with the reinforced silicone rubber curtains on the tunnel to maintain an accurate temperature all result in the best possible shrink for your package. As with all of our shrink tunnels you are able to choose a range of conveyor options, from a standard 1 inch live roller, to a high density roller with ½ inch spacing’s, as well as stainless steel metal mesh belts, heavy duty falcon belting or Teflon mesh belt overlay. There is also a range of discharge conveyors to choose from; from a lazy susan turntable; a straight conveyor or a flexible skatewheel all with varying widths available. As a standard our shrink tunnels feature an AC variable speed drive with a built in fuse protection and automatic tunnel cool down with shut off. This GP-1808-72 iis a high speed (up to 180FPM) tunnel featuring dual 1HP blower motors with dual air velocity control, fully re-circulating air chambers with temperature and air flow coming from four directions as well as emergency stop switches on each end. Dimensions of the Tunnel are (W)460mm x (H)200mm and a length of 1830mm. An optional height of 710mm can be arranged. A choice of conveyor options are available including a standard live conveyor with 1 inch spacing's or a high density roller with ½ inch spacing's and more. We can also suppy a range of discharge conveyors such as Lazy Susans, straight conveyors or a flexible skate wheel with varying widths (scroll up to see these). As a standard our shrink tunnels feature an AC variable speed drive with a built in fuse protection and automatic tunnel cool down with shut off. The tunnel curtains are made of reinforced silicone rubber which minimises heat loss and therefore maintains an accurate tunnel temperature. The GP2208-48 shrink tunnel is one of the more popular shrink tunnels. It has tunnel dimensions of 22 inches (559mm) (W), 8 inches (203mm) (H) and 48 inches (1219mm) (L) chamber, but you can arrange for an optional height up to 28 inches (711mm). It has a fully re-circulating air chamber, which means you get an even air flow, temperature and velocity from four directions which results in the best possible shrink for your package. There is a range of conveyor options available, from a standard live roller with 1 inch spacing’s, to a high density roller with only ½ inch spacing’s, as well as stainless steel metal mesh belts, heavy duty falcon belting or Teflon mesh belt overlay. There is also a range of discharge conveyors to choose from; from a lazy susan turntable; a straight conveyor or a flexible skatewheel with varying widths available. As a standard our shrink tunnels feature an AC variable speed drive with a built in fuse protection and automatic tunnel cool down with shut off. The Tunnel curtains are made of reinforced silicone rubber which minimises heat loss and therefore maintains an accurate tunnel temperature. 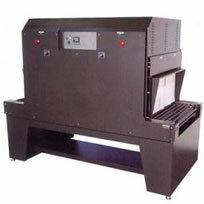 The GP3610-60 shrink tunnel has a fully re-circulating dual air chamber with dual variable air velocity. It has tunnel dimensions of 36 inches (914mm) (W), 10 inches (254mm) (H), and 60 inches (1524mm) (L) chamber, but you can arrange for an optional height of up to 28 inches (711mm). 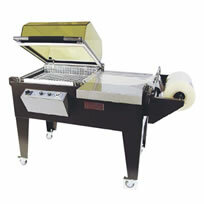 If you are using polyethylene shrink film this model is also available with a dead roller and cooling fan. There is a range of conveyor options available, from a standard 1 inch live roller through to a heavy duty 5/8 diameter roller. There us also a range of discharge conveyors to choose from; from a lazy susan turntable; a straight conveyor or a flexible skatewheel with varying widths available. As a standard our shrink tunnels feature an AC variable speed drive with a built in fuse protection and automatic tunnel cool down with shut off. The Tunnel curtains are made of reinforced silicone rubber which minimises heat loss and therefore maintains an accurate tunnel temperature. 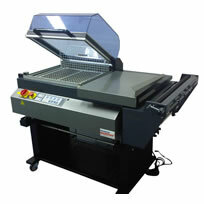 The SeleCTech Shrink Tunnel is medium duty and value priced. It is simple and dependable with an adjustable temperature control and adjustable belt speed. It has hinged gravity assisted product discharge idler rollers with a right to left product flow. It also features an easy access electrical control panel with emergency stops for safety compliance. For further specifications please see the brochure below. The SeleCTech High Speed Shrink Tunnel is a simple and dependable design using technology and engineering parnters Shanklin Corporation and Sealed Air. It has been manufactured with higher production in mind and is perfectly partnered with the SeleCTech Side Seal shrink wrapping machine.